Paragon - "What Is Paragon?" Paragon is an instrumental five piece jazz-rock-fusion group lead by guitarist Robert Howard. The first track of the CD, "Saturday Evening Mediation", really gives you a taste of everything to expect from the CD and that is a good thing! Great interplay and solos from the sax, guitars (shredding! ), electric piano, bass and drums. Everyone gets a moment in the spotlight and they all shine brightly. The band has done a great job of describing each and every track for you. I was actually hoping that I could find that one on the web site and put that info in here for you. Improvistation is quite intense chaos. "The Ox" was composed on the day that John Entwistle passed on and features the bassist, Jason Gahler. "The Joy Of Truth" features all band members soloing. "Auora" is a homage to Jan Garbarek and Terje Rypdal. "Short Expedition No.2" is the longest and most exploring track on the CD. "In The Presence Of Beauty" features some fantastic piano playing. The last track, "Echoes In A Glass Room", is dedicated to Warren Zevon and was inspired by Robert watching him on a TV program. Fantastic stuff. Well worth checking out! 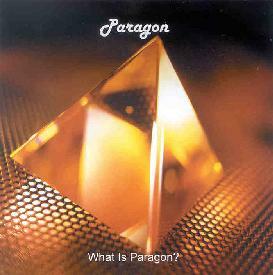 For more information you can visit the Paragon web site at: http://www.paragonmusic.org. Contact via snail mail c/o Robert Howard; 1515 E. Wooster St #4; Bowling Green, OH 43402.